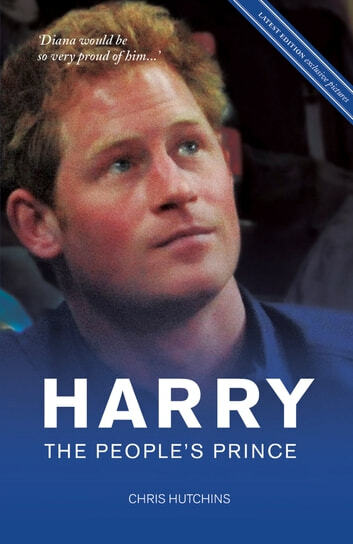 PRINCE Harry is the most interesting – indeed the most exciting - member of the Royal Family and this no-holds-barred biography tells his story for the first time. Son of the late Princess Diana – the most famous woman on Earth – and Prince Charles, the next king, and brother of William, the king after that, he is determined to live by his mantra: ‘I am what I am’. From a childhood overshadowed by his parents’ troubled marriage and scarred by the tragic death of his mother, to his brilliant public performances at the Queen’s Diamond Jubilee celebrations, the London Olympics and his brother’s wedding, this book charts the remarkable journey of a young man with an extraordinary destiny. It also reveals details of his extraordinary love life, telling for the first time what caused his affair with Cressida Bonas to collapse. The author has enjoyed unparalleled access to a wide variety of people whose lives Harry has touched: senior aides, humble members of palace staff, aristocrats, bodyguards, school friends, comrades-in-arms . . . and old flames. They piece together the tale of a young man who admirably has created a life so different from the one set out for him by what he describes as ‘an accident of birth’.